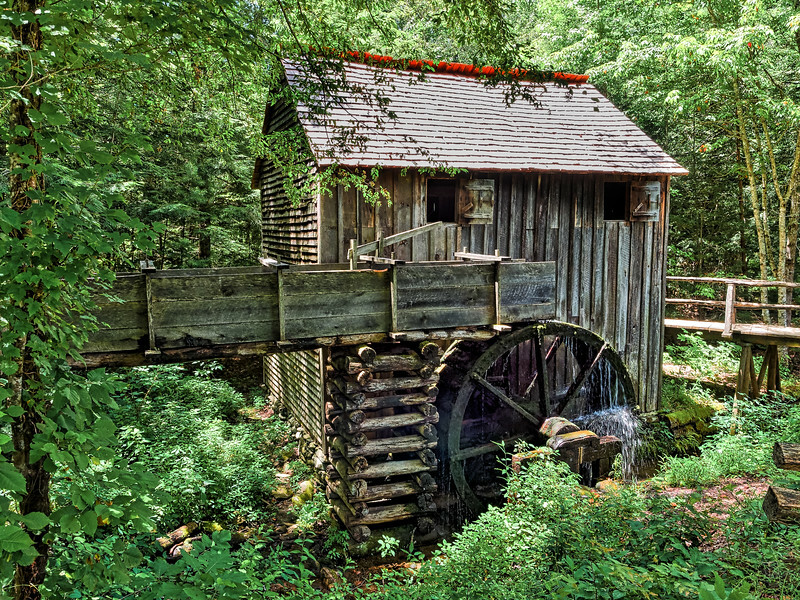 John P. Cable grist mill in Cades Cove, Great Smoky Mountains National Park in Tennessee. This overshoot mill was built in 1868 by John P. Cable. Cable Mill took double advantage of its waterwheel by using it to power saw mills as well.